Special Collections, J. Willard Marriott Library, The University of Utah. Utah Photograph Collection, P0077 Green River, p0077n01_13_80. This photo has been altered from its original. The Grand Canyon is gray. Muddy black and white water crashes and surges. A handmade wooden boat jitters through the rapids at 18 frames per second. On board is a small, short-haired woman in a cork helmet clutching the stern line. The newsmen describe her as a bespectacled “schoolma’am,” yet Dr. Elzada Clover is an accomplished botanist who has explored much of the Southwest. 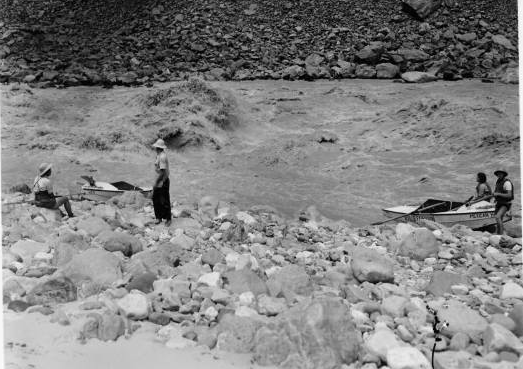 It’s the summer of 1938 and she will soon become the first woman to raft the Colorado River. The expedition was one of many firsts. 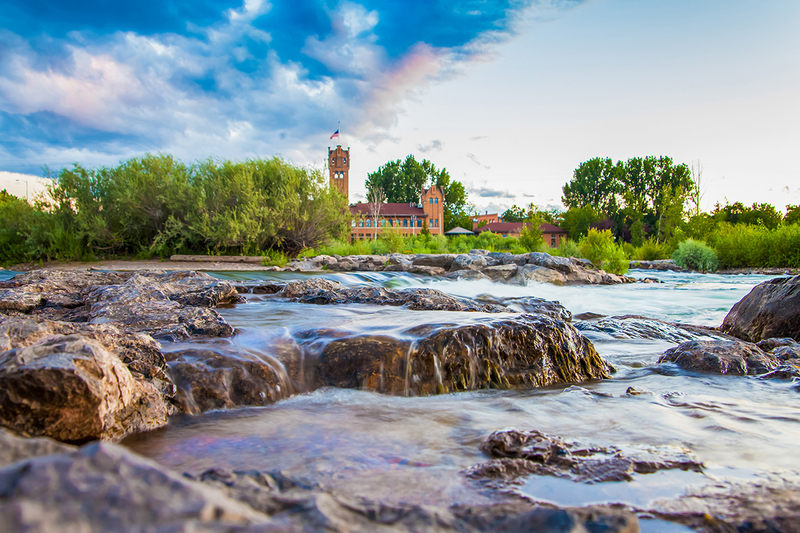 With the entrepreneurial river rat Norm Nevills as its guide, the venture became the first commercial river trip on the Colorado. It was also the first botanical survey of the Grand Canyon along the river. Launching from Green River, Utah, the party floated over 600 dramatic miles to Lake Mead. 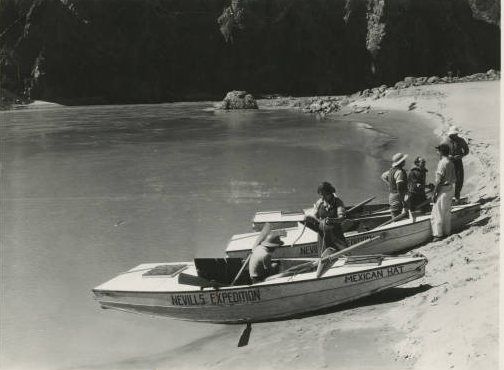 Joining the expedition were two graduate students — Lois Jotter, an athletic and outdoorsy young woman, and Gene Atkinson, who had some experience with canoes. Nevills invited a photographer named Bill Gibson to document the journey, and LaPhene “Don” Harris, a surveyor with the United States Geological Survey. Whitewater rafting had yet to become a recreational activity, and Nevills’ only criteria seemed to be a sense of adventure and strong arms. Special Collections, J. Willard Marriott Library, The University of Utah. Norman D. and Doris Nevills Photograph Collection, P0341, p0341n02_15_04. 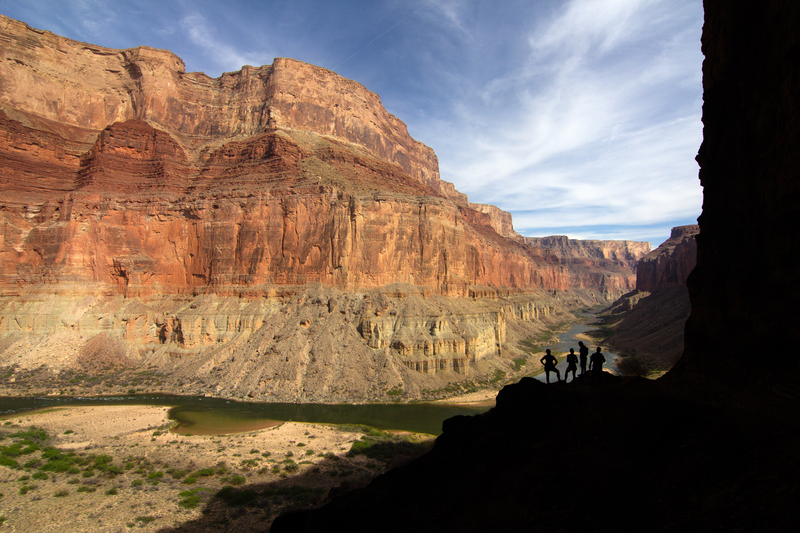 Today, over 20,000 people raft the Grand Canyon each year. Tourists pay up to $4,000 to be guided on a two-week trip, while non-commercial parties can wait years for a permit by lottery. But in 1938, fewer than 60 people ever had successfully completed the journey. There was no guidebook. No two-way radios. No money-back guarantee if you drowned. As such, the Nevills Expedition attracted the attention of the national media. When “the Botany, the Mexican Hat and the Wen launched on June 20 of that year, the press followed them downriver until they drifted out of sight. Special Collections, J. Willard Marriott Library, The University of Utah.Norman D. and Doris Nevills Photograph Collection, P0341, p0341n02_11_09. The Colorado River was a different beast back then. That summer it was in “full flood,” according to Nevills, running at 50,000 cubic feet per second. Their little boats plunged into the surging rapids, leaping over walls of water. One day, a mushroom wave flipped the Botany and sent it rollicking downriver. Clover and Atkinson caught up with it and ran eight rapids while towing the capsized boat. Another accident left Jotter stranded alone overnight, listening to animals yowl in the dark. The river beat and bloodied their bodies, but its greatest toll was upon their nerves. A rift formed between the crew and its leaders. They called themselves The Gripers and spent their evenings whispering and whining about Clover and Nevills. Nevills often erred on the side of caution, choosing to avoid more dangerous rapids, but as the walls of the Grand Canyon grew steeper, whitewater was the only option. Clover and her companions ran many of the river’s most notable rapids. They arrived at Lake Mead on August 1 and were met by a crowd of onlookers hoping to ascertain what sort of women could do such a thing. It’s tempting to view Clover and Jotter through a modern lens and forget they were still bound by the constraints of the time. In addition to their work collecting plant specimens, the women cooked nearly every meal. Clover once wrote, “We have spoiled them completely.” Clover and Jotter were often photographed powdering their noses, as if to indicate they could still be feminine. And the worst — perhaps more so for Jotter than Clover — was Nevills’ reluctance to let them handle a boat in whitewater. Special Collections, J. Willard Marriott Library, The University of Utah.Norman D. and Doris Nevills Photograph Collection, P0341, p0341n02_13_13. Jotter went on to earn her PhD, raise a family and teach at the University of North Carolina. 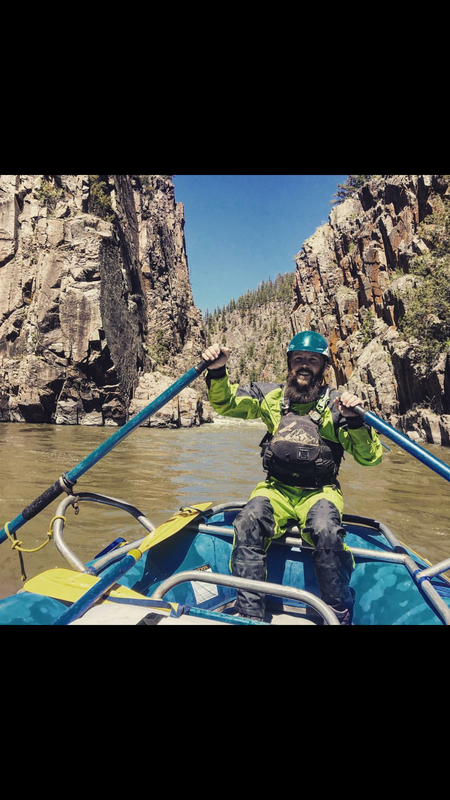 Nevills started a successful river guiding business and lead several more trips through the Grand Canyon. 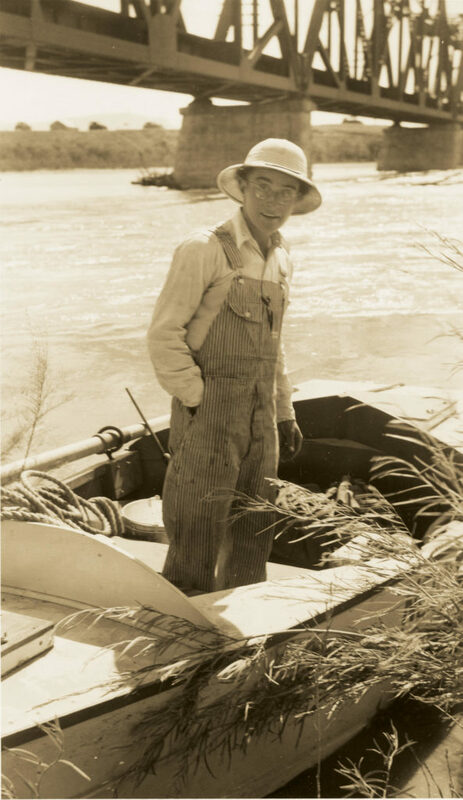 He became known as the “the world’s number one fast water man,” but his career was cut short in 1949. 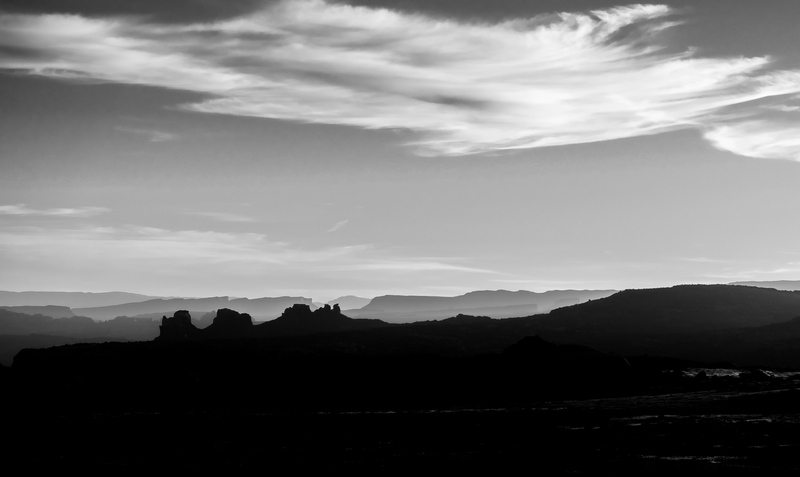 During takeoff, his single-engine monoplane lost power and crashed outside of Mexican Hat, Utah, killing both him and his wife. 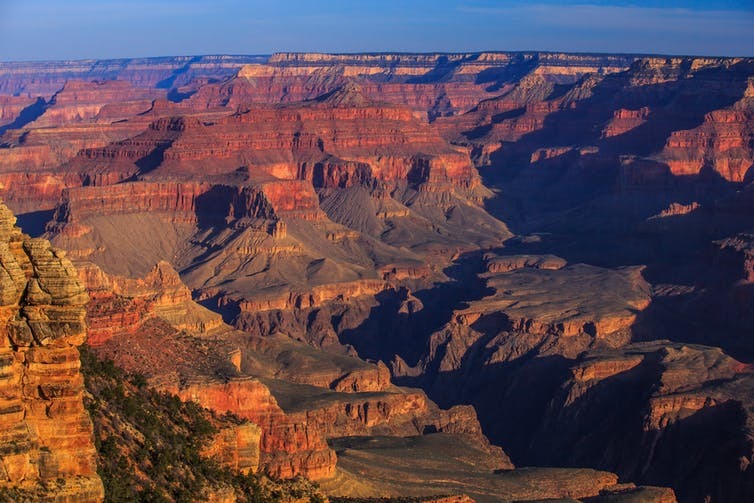 Clover and Jotter published a paper on their findings in the Grand Canyon. 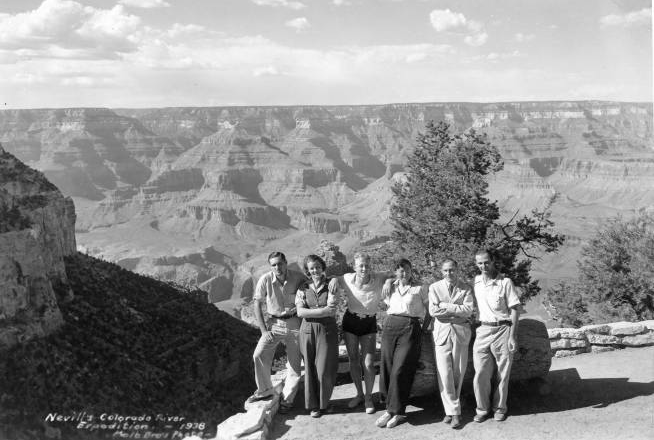 It was the only botanical survey completed before the Glen Canyon Dam permanently altered much of the plant life. After a few more trips out West, she turned her attention south of the border. She traveled to Guatemala, Mexico and Haiti. When she retired, she moved to South Texas and died in 1983 at the age of 80.